We have 82 bears in our six sanctuaries care and we find it amazing that these rescue bears can learn to hibernate, even if they were born in captivity! 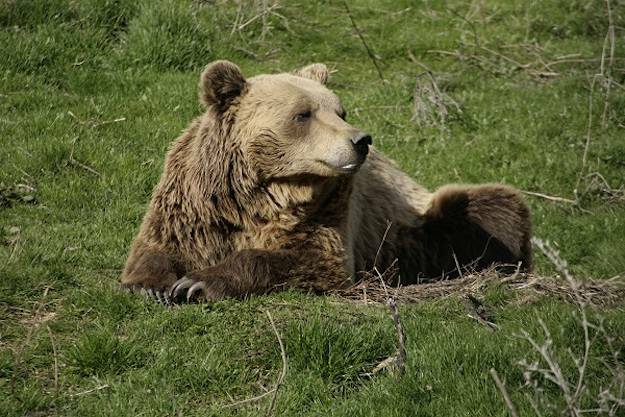 Did you know that bears usually hibernate for 3 to 6 months? We currently have 6 bear sanctuaries with 82 bears in our care and we find it amazing that these rescue bears can learn to hibernate, even if they were born in captivity! 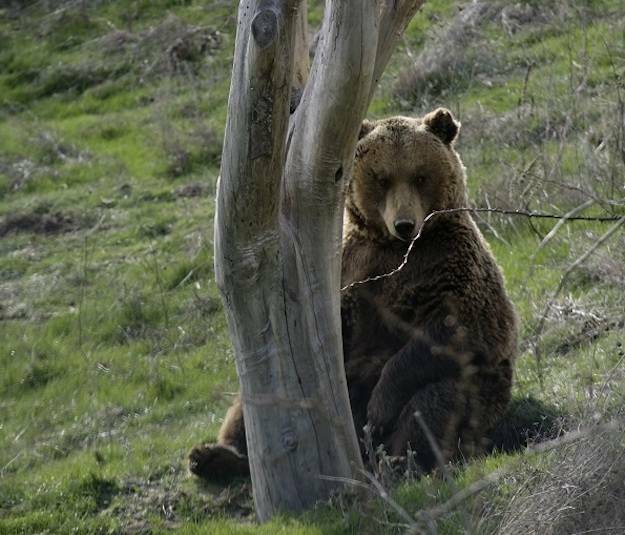 At our BEAR SANCTUARY Prishtina in Kosovo, we have 19 residents. Anik and Mal share an enclosure with Hana, who is still hibernating. Both Anika and Mal have been awake for about two weeks, are eating all of their meals, and are very often seen grazing or laying in the sun. Nala and Lena share an enclosure as well. Both have also been awake for roughly two weeks but still like to spend time in their dens. 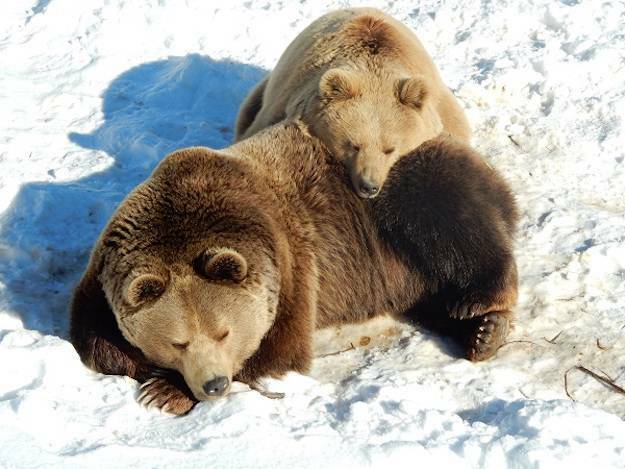 Ari and Rina shared the same den during the entire winter and are the happiest “couple” of the sanctuary. They have been awake for two weeks, but spend most of their time sleeping in their straw bed inside the bear house. Ero has been awake for three weeks now, after two months of full hibernation. Ero’s mate, Mira, is still hibernating in her natural den, and as you can see, he is patiently waiting for her to wake up. 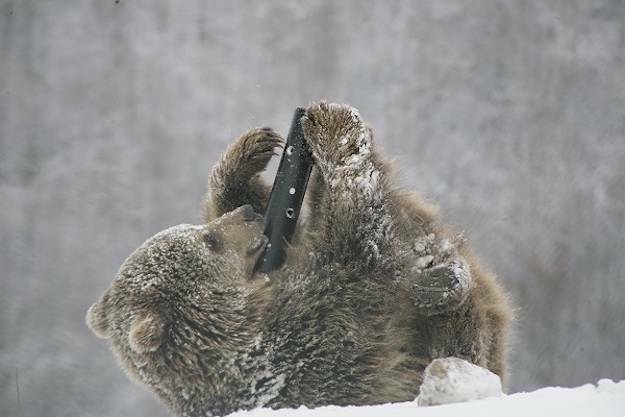 Vini on the other hand did not have a full hibernation this winter. Vini shares his enclosure with his mate Kassandra, who is still in hibernation. Like Ero, Vini is good about not disturbing his den mate from her sleep. Tomi did not hibernate this year but stayed very busy! He was just rescued last year from a concrete cage and is still adapting. Our caretakers kept him occupied all winter with numerous types of enrichment toys and games. His favorite activity is playing with logs (containing a lot of honey) and boxes filled with straw (sprinkled with different spices). We are so proud of all of our bears and so happy to see them get a second chance at life! As more of our bears awake from slumber follow us on Facebook and Twitter for videos and stories.